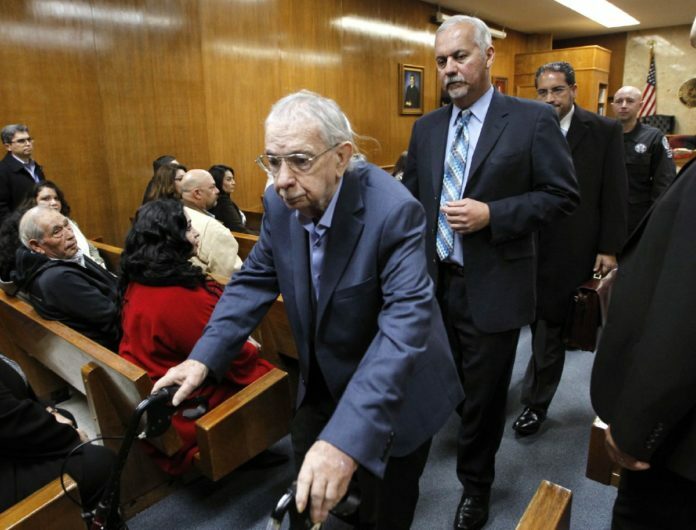 The former priest convicted of a local schoolteacher’s 1960 murder was transferred from the Hidalgo County jail Monday morning to the Texas Department of Criminal Justice’s Byrd Unit in Huntsville. John Feit, 85, was transported to the facility from the Rio Grande Valley at 3:30 a.m., according to Hidalgo County District Attorney Ricardo Rodriguez. Feit was sentenced to life in prison on Dec. 8 after a jury found him guilty of the murder of Irene Garza, who died by asphyxiation likely by suffocation. The Byrd Unit is an all-male facility that can house approximately 1,300 offenders, according to TDCJ’s website. Feit’s attorneys have yet to file a motion for a new trial, but have 30 days to do so upon the verdict and sentence being entered into record. If filed, this would be the first step in appealing the conviction, which is expected.